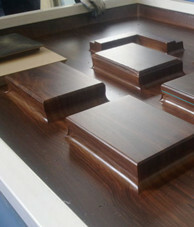 laminate PVC and wooden veneer. 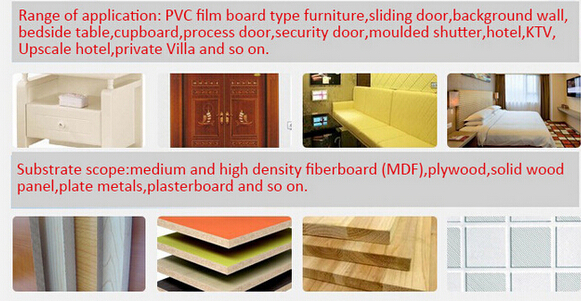 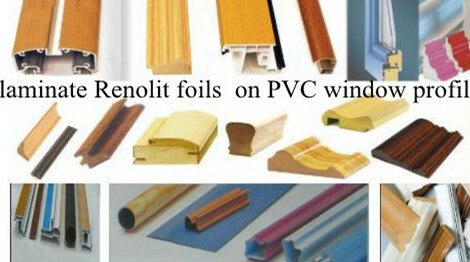 all kinds of baroque decorative surfaces with PVC films and natural veneer and hot stamping foils. 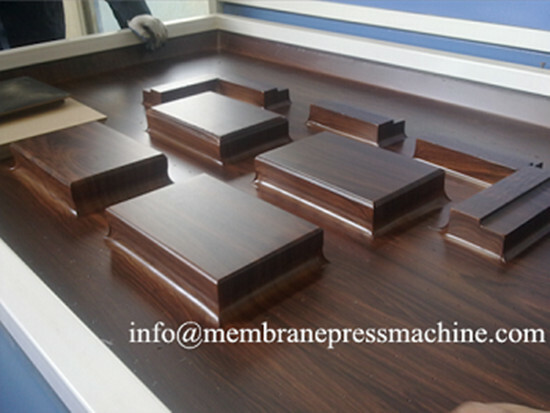 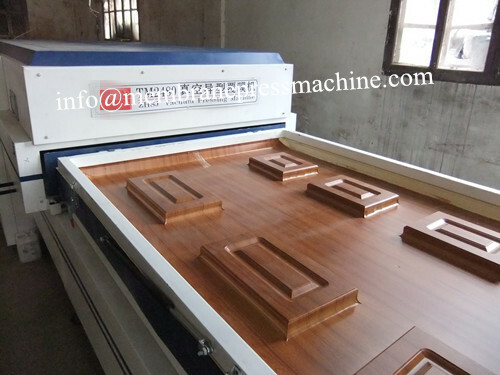 1.The work table surface is made of high strength steel plate which is not easy to be deformed in high temperature environment. 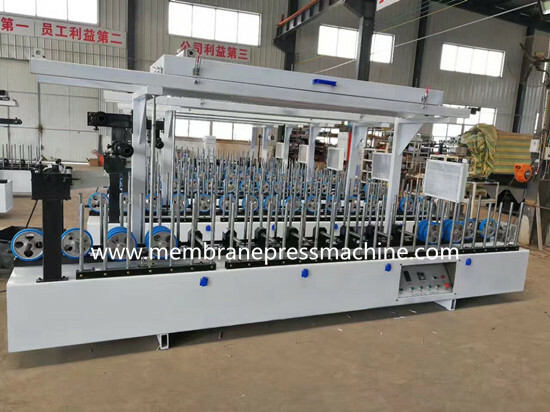 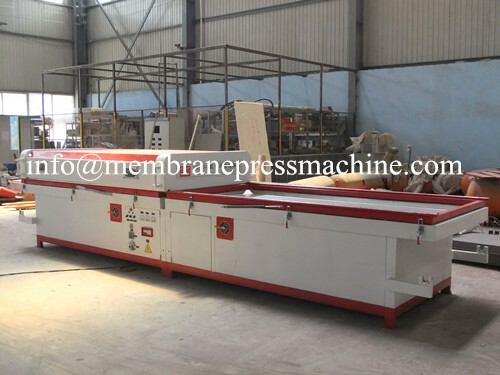 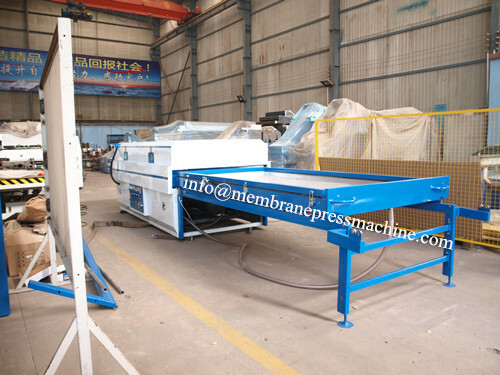 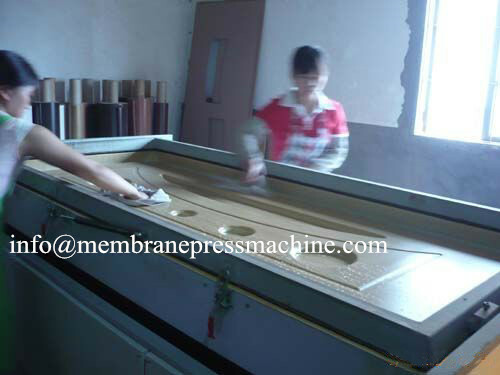 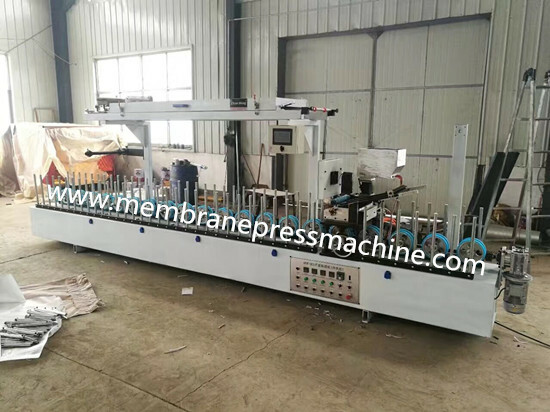 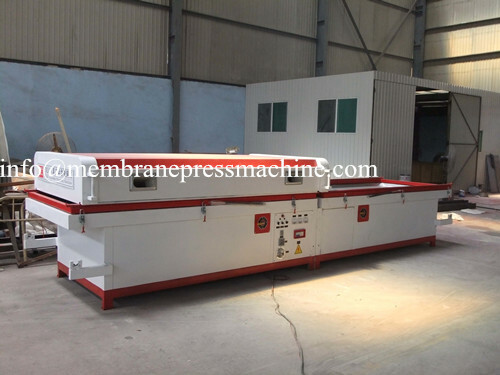 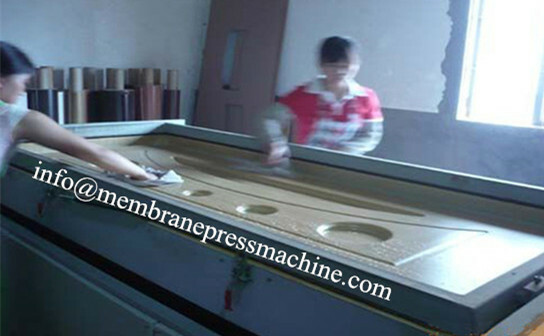 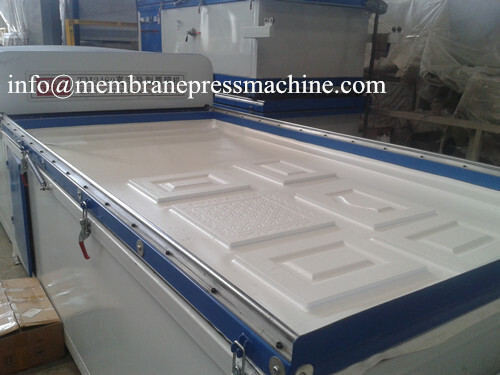 2.With advantage of high efficiency, heating quickly and evenly,fast forming, firmly adsorption with smoothly surface. 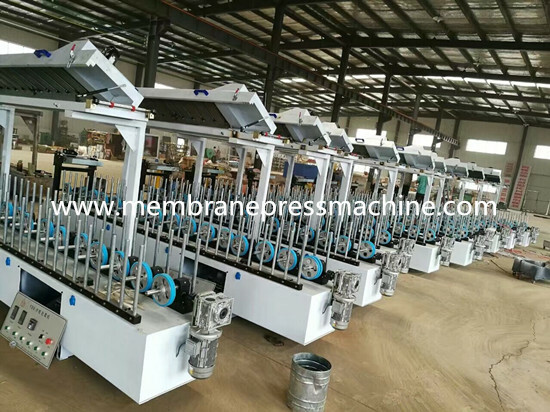 5.Imported famous-brand vacuum pump, advanced pressure preparation heating device and automatic cooling system can make sure of high quality of products.